This how-to guide will show you different ways to enable built-in administrator account in Windows 10/8.1/8/7. That account is hidden by default. Windows operating system (OS) has three different level of user account. An administrator account is the one you create while you first time use the OS. Other accounts created using this administrator account can be second-level administrator account or standard user accounts. All these accounts will be unelevated. However there remains a different type of administrator account which comes by default in Windows. It is actually hidden administrative account and known as built-in administrator account. The built-in administrator account have unrestricted access to everything on the system. While on this account, most of the features wouldn’t ask you for credentials, such as UAC. It lets you login automatically. However, for security reasons you should not enable this account, unless it is badly required. Because if you do so, anyone can misuse your system easily. So make sure you disable this account when not required. Also, some of the apps can’t be opened using built-in admin account. For day-to-day usage, you should keep stick to normal administrator account, you’ve created first on the machine. Here’s how to enable built-in admin account. 3. In the right pane of Security Options, look for the Accounts: Administrator account status policy setting. It must be set to Disabled by default. Double click on it to modify its status. 4. Finally choose Enabled and click Apply followed by OK. Close Local Security Policy snap-in and reboot, you should have built-in admin account enabled then. To disable built-in administrator account later, set or restore this policy setting to Disabled. After running this command, you’ll get The command completed successfully message. You can then close the Command Prompt and reboot. After restarting the machine, you’ll be able to log-in as built-in admin. To disable built-in administrator account later, run net user administrator /active:no command. So these are the ways you can adopt to enable built-in administrator. 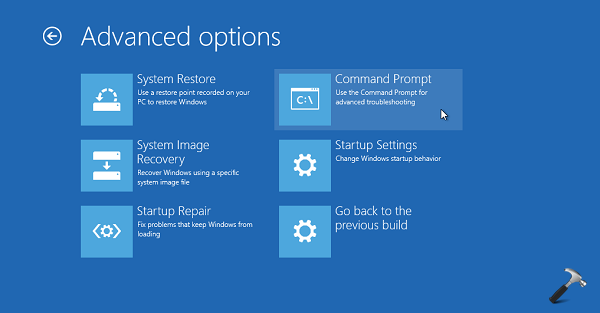 Read next: How to reset built-in administrator account in Windows 10/8/7. I’m trying to use your workaround to lock Bitlocker drive in Win 10 Ent x64. It worked perfectly in Win 7 Ent x86, but now it returns with an error “System cannot find file manage-bde.exe” even though I copied it from folder “C:\Windows\WinSxS\amd64_microsoft-windows-securestartup-tool-exe_31bf3856ad364e35_10.0.16299.15_none_1d06e9aa287ac592\” to my Windows\System32 folder, where also my file “lock-bde.vbs” has been duly copied. I did everything same as when on Win 7. What’s wrong and how to make this work also in my current Win version?